All of my life, I've been told what to do. The path to take planned out for me, step by step to insure success. Having school to lend me structure in my life was always something I appreciated. I loved knowing that after second grade came third grade. After junior high came high school. After high school came college. 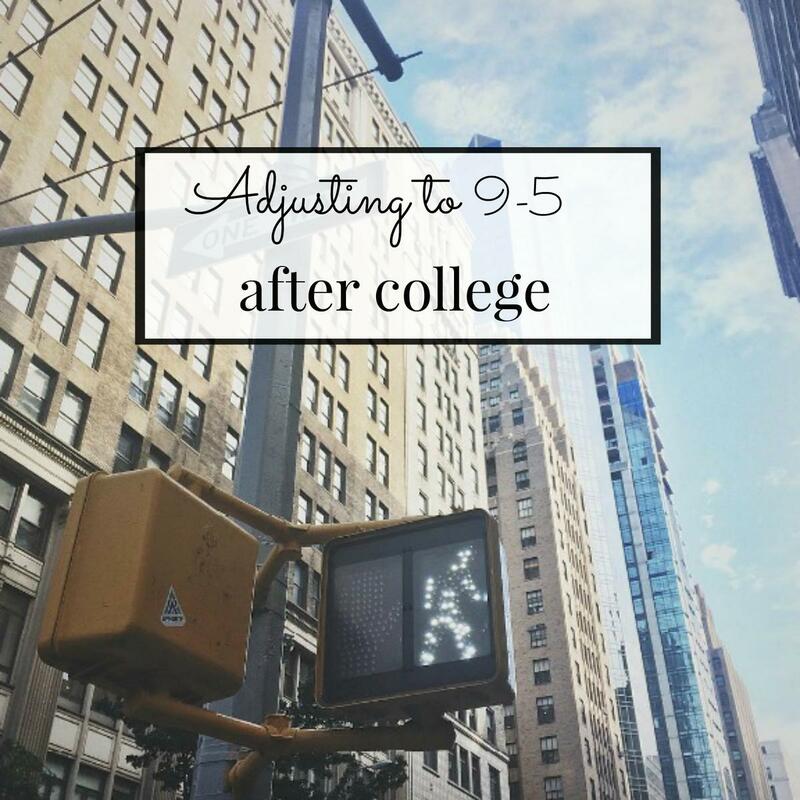 After college comes...adjusting to 9-5? I arrived in NYC two weeks after graduation wide eyed and excited to start my job at Richard Leeds. The first week was so exciting. Finally! I was doing the tasks I dreamed to do in college. My my job here is exciting, dynamic, and highly creative. Despite all that as the first week turned into the second, which turned into the third, and so on...I realized something really important. Although professors try hard to prepare you for the corporate world, they cannot prepare you for the drastic difference between school life and work life. I did so well under a very strict schedule of due dates and achievable milestones. I excelled under grades earned and classes checked off. It's the only way I was taught to operate, and now it's time to adjust to something completely different. Sure, I have a boss and tasks that need to be done, but there's no longer a defined path for me and someone telling me "you are going to do this." Part of my job as a social media marketing manager is constantly going after new ventures in the company and balancing many tasks. Life is no longer centered around achieving one huge goal as the finish line. That's what I'm doing right now: adapting. Adjusting to 9-5 after college isn't because like most, I am a creature of habit. I love to do things the way I know have worked for me in the past. It's time now for me to accept what my new normal is. Normal is always changing and it's not the same for everyone. Normal should be embraced: not feared.